Thousands of migrants and refugees from Honduras, Salvador, Guatemala, Nicaragua and Mexico are now making their way north through Mexico with the hopes of making it into the United States. This caravan began with a small group of Hondurans setting forth from the town of San Pedro Sula - which is often referred to as the murder capital of the world - in hopes to seek asylum in Mexico or the United States. 75 miles and two days later, the caravan was more than 1,000 strong, according to the estimates of Associated Press reporters. 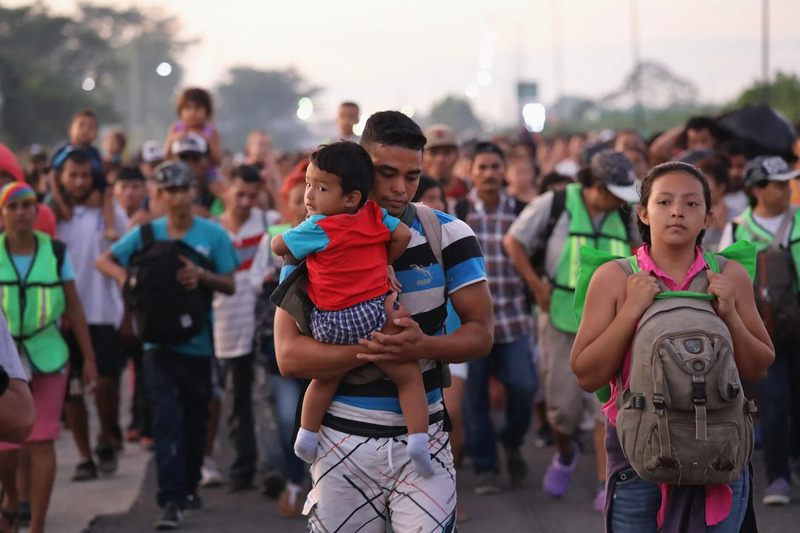 By October 15, the AP estimated about 1,600 Hondurans had amassed at the border of Guatemala, and the caravan continued to grow as it crossed through Guatemala. As of October 22, the caravan regrouped on the Mexican side of the Mexico-Guatemala border. The United Nations estimated its size to reach 7,322 migrants, who are fleeing violence, unemployment, gang conflicts and poverty. Many of the migrants are leaving their country because they’re fearing for their lives if they stay due to these threats. But, will the caravan make it to the United States? President Donald Trump threatened to send the military to the US-Mexico border and to “cut off or substantially reduce” the foreign aid given to these countries, according to a tweet from last week. The president sees the failure of the governments of Guatemala, Honduras and Salvador to stop the caravan from leaving their countries as an insult to the United States. Caravan members will almost certainly arrive at the US-Mexico border eventually to seek asylum, which is perfectly legal. Mexican authorities already received 1,000 requests for asylum from caravan members, and Mexico is supposedly offering asylum and jobs to the caravans’ members; however, the majority of them have opted to continue their journey to the U.S. with the hope of gaining asylum and a better life in America. According to The Wall Street Journal, the United States will deploy 5,000 troops to the border in response to the increasingly growing Central American caravan heading to America. If this occurs, there will be more troops at the US-Mexico border than there are in Syria and Iraq.